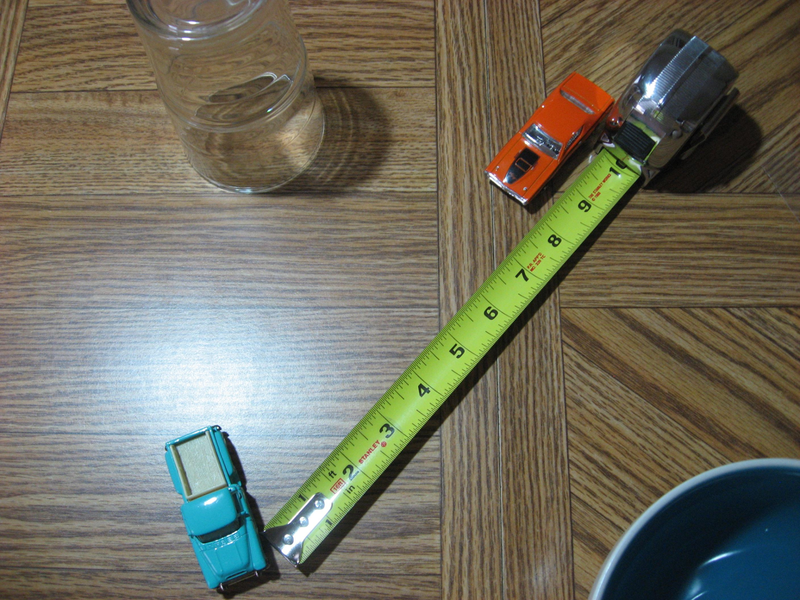 Physical dexterity game where players “flick” Hot Wheels cars and try to shoot each other. 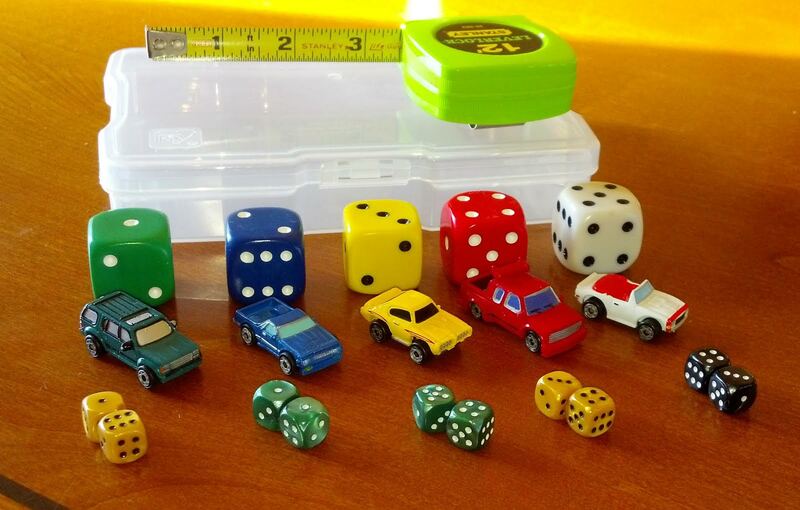 Very light and fun for large groups of all skill levels and ages. 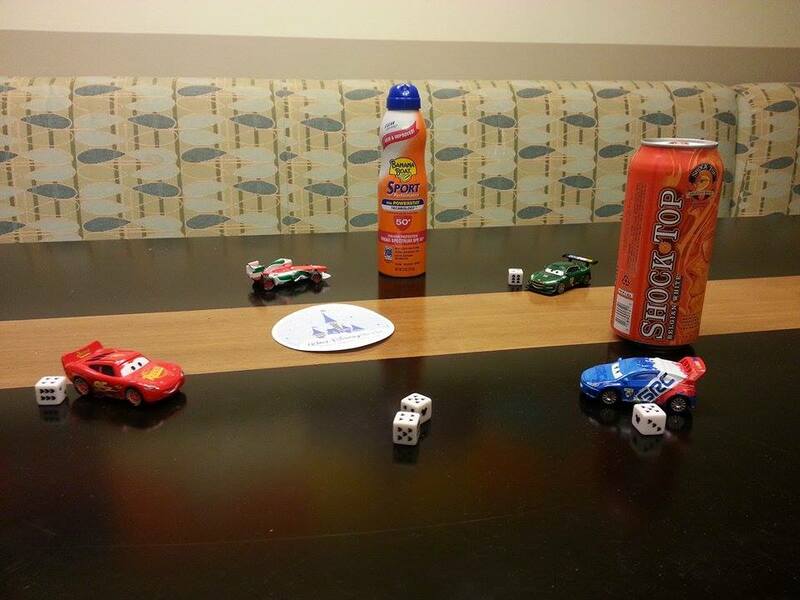 Originally I wrote this game as a Car Wars alternative when playing casually with friends at vacation houses, or other relaxed events with drinking involved. 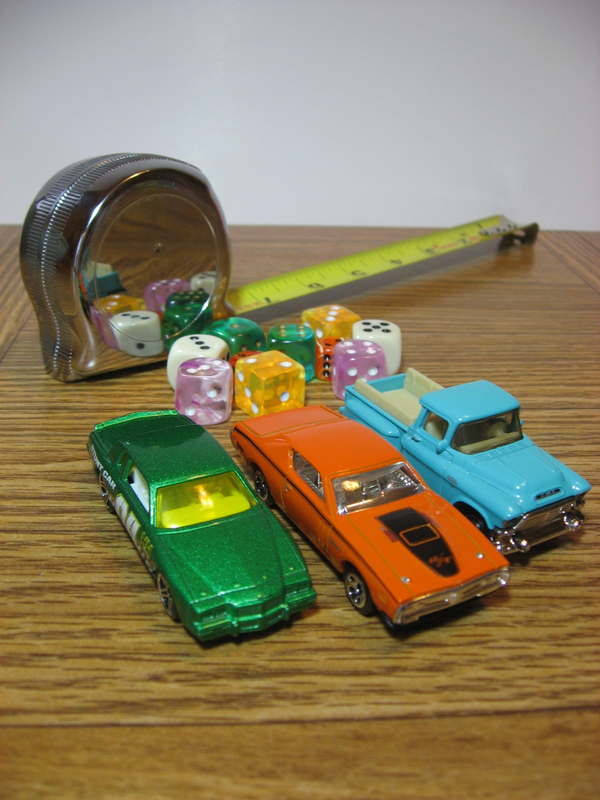 The rules are 1-page and very accessible, as you just need Hot Wheels cars, six-sided dice, and a measuring tape. Because of the physical dexterity element all ages can play on a fairly even field. Each turn you flick your car twice, then you can shoot. Shooting is simple: measure distance to the target, up to 12″ away, and the amount is what you need to roll above on 2D6. So 8+ to hit at 8″, as an example. I added a bunch of optional and variant rules called “Detours” which have quite a few fun elements. Such as making the game a drinking game, giving the first turn to the person with the longest commute, stunt bonuses to reward risky flicks, various terrain effects, a huge variety of guns, and playing cards as power ups that can be driven over. The game had a terrific reception on Board Game Geek, with some fans even sending photos in (pictured above). I was really happy with the reception, and in my gut I always still consider trying to monetize some of my rules. But I haven’t yet, and generally discount the idea because I don’t want to turn my fun projects into work/job. An accessible game in terms of both rules and components can achieve a lot more interest, and get players of all ages and skill levels involved. This was my first physical dexterity game so I’m happy with the result. 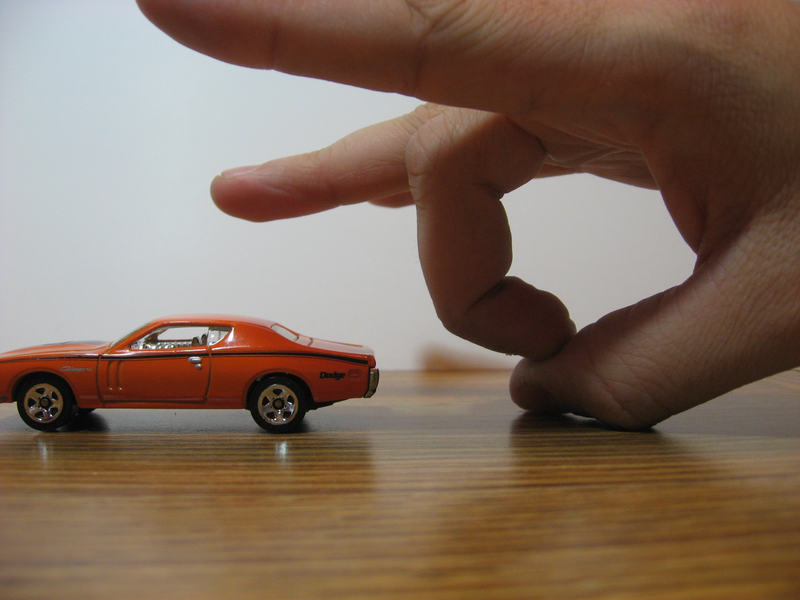 I like the balancing factor of flicking a car, as compared to measuring or using angles to turn, which would more or less discount a kid ever beating an adult. Also this game taught me that fun/goofy/tongue-in-cheek elements are okay, specifically the different ways to choose first player. In a way I need to remind myself that a “casual” game is okay and shouldn’t be looked down on. And finally I had a hoot trying to fit the rules onto 1 page, but I think the result is worth it.